Christy Moore, Mairtin O’Connor, Louis De Paor, Mick Flannery, and Fr Peter Mc Verry are among the many names who will be taking part in the 38th Clifden Arts Festival, which runs from Thursday September 17 to Sunday 27, and features theatre, literary, comedy and music events, workshops, and more than 200 family events. The festival opens on Thursday 17 with a performance by Moonmagic, a local drama group of people with different abilities, aged between 20 and 60. Their show will be a sensory exploration through music, mime, and poetry, drawing on themes of friendship and community. A broad range of musical performances, across a variety of genres, will see concerts from US band True North (September 17 ); the West Coast Ceili Band (September 17 ); prog-folk band My Fellow Sponges, managed by Ollie Jennings (September 17 ); Kathleen MacInnes, Dermot Byrne, Brian Finnegan and Mike Vass (September 18 ), jazz with David Lyttle (September 19 ), and a special concert with Sharon Murphy, who impressed Tom Jones on The Voice UK (September 20 ). Trad music fans can look forward to the Mairtin O’Connor Trio (September 19 ); Cherish the Ladies (September 22 ); and Jackie Daly, Matt Cranitch, and Conal Ó Gráda, with special guest Bernard O’Donoghue (September 21 ); while other gigs to look forward to are jazz with Les Follies (September 23 ), Rob Strong and his band (September 25 ); Walk the Line, the Johnny Cash tribute band (September 25 ); and the Ducasse Trio, Fiachra Garvey, William Duncombe, and Charlotte Maclet (September 26 ). The festival theatre programme features The Man in The Woman’s Shoes (September 19 ), an acclaimed drama written and presented by Mikel Murfi in the Clifden Town Hall; the premiere of Pat Kinevane’s third solo play, Underneath, directed by Jim Culleton; Gilbert and Sullivan’s Trial by Jury in the Victorian courthouse (September 20 ) where Cantairí Chonamara, in Victorian dress, will be joined by members of the Galway Baroque singers; Reading and Singing in the Bookies (September 20 ) returns for the sixth year with poems, songs ,and readings based on race horses, ponies, and greyhounds, in Paddy Powers; Tom Hickey performs The Gallant John Joe, by Tom Mc Intyre (September 23 ); Noramollyannalivialucia: the Muse and Mister Joyce is a one-woman “play for voices” (September 24 ) based on Joyce’s wife Nora Barnacle and her time in Zurich. Literary events will see a poetry reading with Louis dePaor (September 17 ), a four times winner of the Oireachtas prize for the best collection of poems in Irish, and the director of the Centre for Irish Studies in NUI Galway; a writers’ workshop with poet Colm Keegan (September 19 ); launch of The Mountain Ash by acclaimed poet Joan McBreen (September 19 ), illustrated by print-maker Margaret Irwin; Here to There – and Back (September 20 ) by Robyn Rowland explores themes from the landings and experiences at Gallipoli, to the tensions of living in two countries; a reading by internationally acclaimed novelist Mary Costello (September 22 ); a reading by Jennifer Johnston (September 23 ). There will also be readings from Paul Durcan, Tony Curtis, Gerard Smith, Moya Cannon [see this week's Shooting The Breeze interview with Charlie McBride], and Michael Coady, as well as a celebration of WB Yeats by poet Bernard Donoghue. A number of public lectures take place as part of the festival, including Fr Peter Mc Verry, who will give The John Moriarty Memorial Lecture (September 26 ); Ireland’s Weather - A Journey through Time with meteorologist Evelyn Cusack; and Riverdance Revisited by Bill Whelan to mark its 20th anniversary; as well as a talk on Walter Macken, entitled The Man I Knew. Other events include exhibitions by Brian Bourke and Padraig Rainey, including a display from the AIB National Art Collection; and comedy from Aprés Match. Entertainment for children is central to activities on Saturday 19, with interactive performances from Macnas. 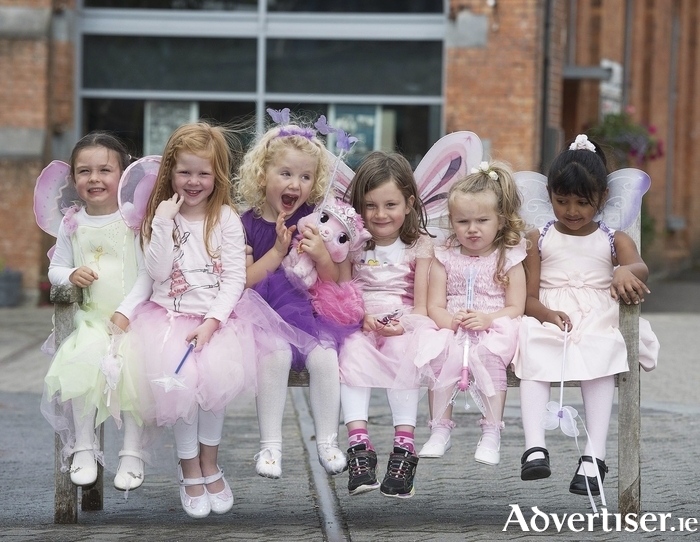 There will also be the Clifden Fairy Trail in aid of Clifden Tidy Towns projects. Children are invited to find Fairy Jill and her family who are residents in the town. Fancy dress is encouraged. One of the key school based events is Humourfit (September 22 ) led by Michael O’Sullivan. This will be an extended programme of dramas and workshops under the title Dramlink, where students can write, act, and self-direct short scenes on social issues. Family entertainment in the town centre on Saturday 26 will feature acrobats, jugglers, face painters, singers, dancers, and live music, and later that evening, the grand parade. Look out for ambient theatre specialists LUXE and aerial dramatics from Fidget Feet. For programme details and tickets visit www.clifdenartsweek.ie See also Facebook and Twitter.